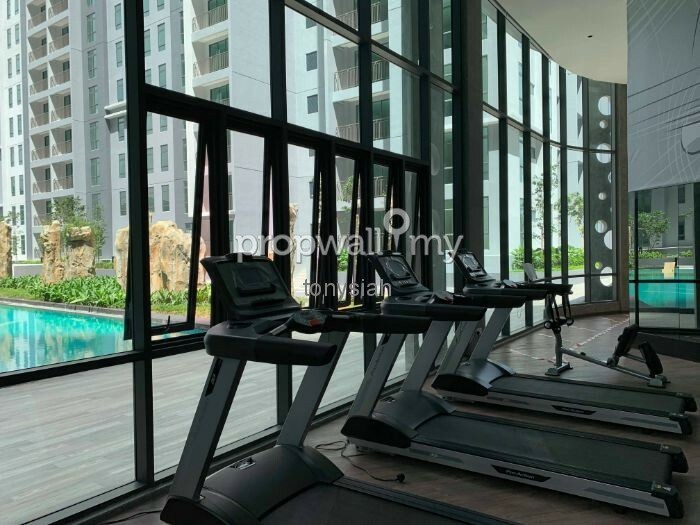 The Henge is a leasehold development consisting of serviced apartments in Kepong. Composed of four towers with 45 storeys, each individual tower contains 368 units, culminating in a total of 1,472 units. Inspired by a powerful and ancient monument, The Henge boldly combines iconic architectural forms and the mythical elements drawn from nature. Ideally situated on the fringe of the city, The Henge is where exclusivity and accessibility meet. Individual units offered comes in three types, mainly the Type A and Type B. 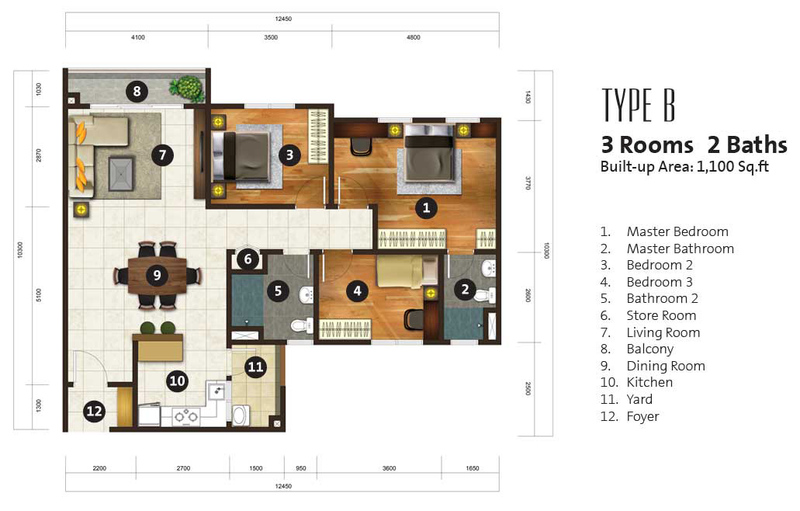 Type A has 1,300 sq ft, three plus one bedrooms and two bathrooms. 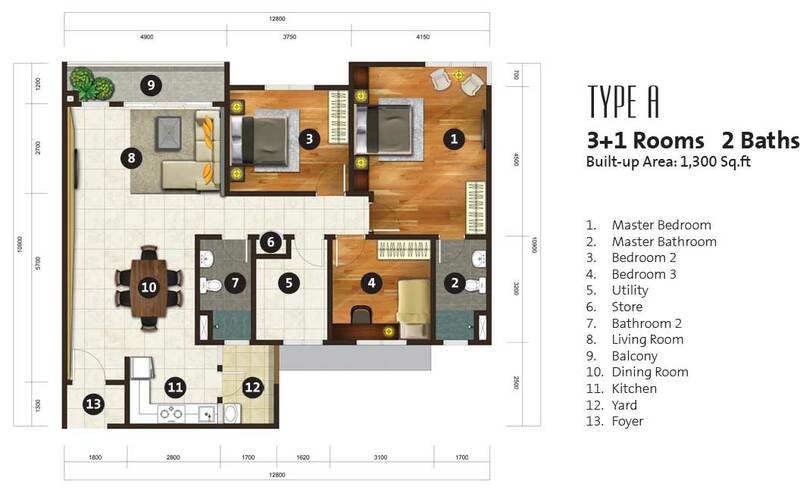 The Type B, on the other hand, has 1,100 sq ft, three bedrooms and two bathrooms. The Type A1 offers little variation from the Type A. Facilities provided range from a pocket park, children’s playground, jacuzzi, lap pool, wading pool, rooftop garden, gymnasium, BBQ deck and many more. Measuring just over 220 acres, the Metropolitan Park is right at the residents’ doorstep, offering boundless recreational opportunities. Concerning accessibility, this development borders the Metropolitan Park and is conveniently adjoined to several major highways including the Middle Ring Road 2 and the DUKE Highway. Most amenities are within easy reach. From a plethora of dining options to multiple shopping and retail outlets, residents will have a wide option to choose from. Sinerjuta Sdn Bhd or Aset Kayamas Sdn Bhd was established by Tan Sri Datuk Chai Kin Kong in 2011 with a primary focus to deliver comfortable homes that are founded in quality and affordability. 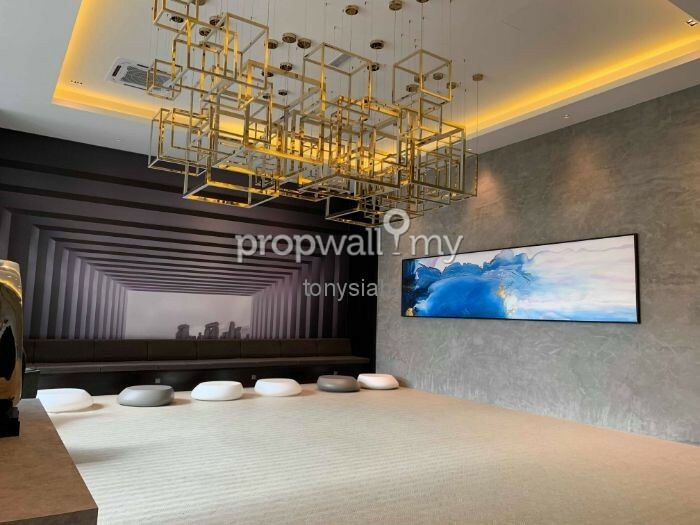 Aset Kayamas‘ expanding portfolio features various luxury residential development projects such as ParkHill in Bukit Jalil, The Henge in Kepong and The Holmes in Bandar Tun Razak. 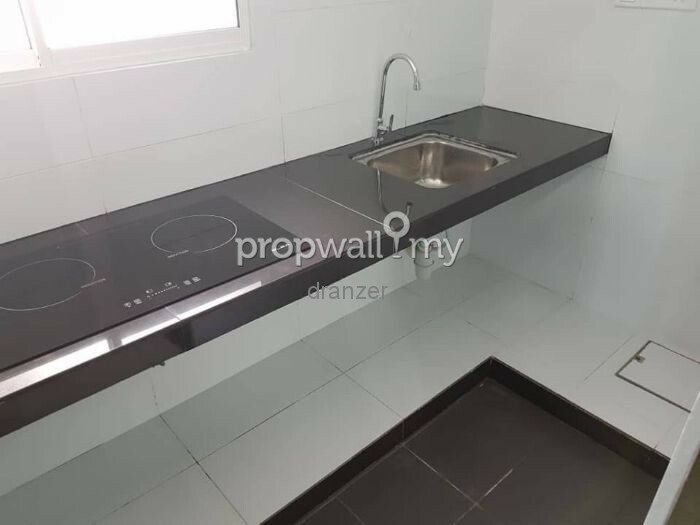 The entity is also working on several affordable housing projects across the Klang Valley in collaboration with the Government under the Perumahan Penjawat Awam 1Malaysia (PPA1M) and Rumah Mampu Milik Wilayah Persekutuan (RUMAWIP) schemes.